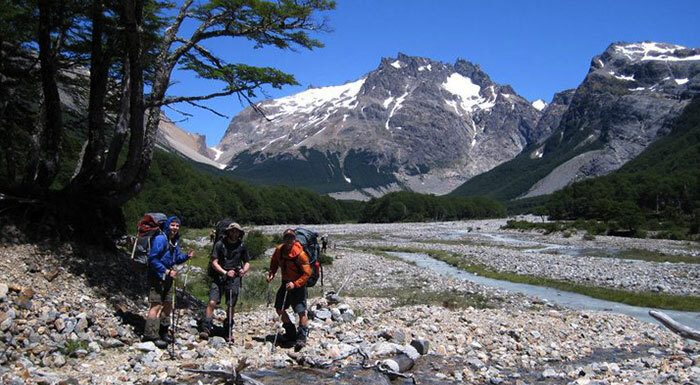 Backpacking Aysen is a special trip designed for travelers on foot who search for unique experiences on hidden wilderness gems. 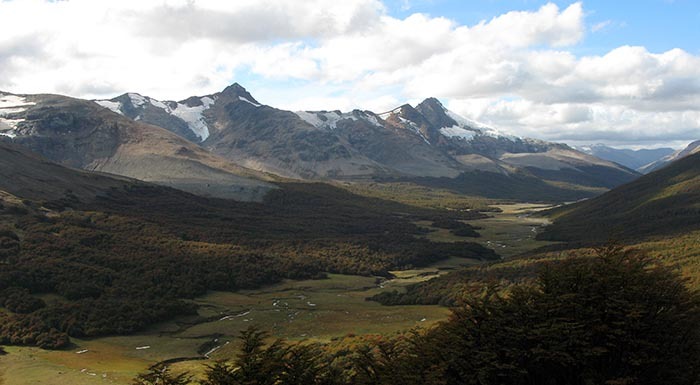 Aysen region is the less develop area of Patagonia and has some of the most amazing sceneries. Exploring this region is not easy but with the correct gear and logistics you might find yourself living the best adventure you ever dreamed. The trip begins in Coyhaique, the city capital of Aysen. 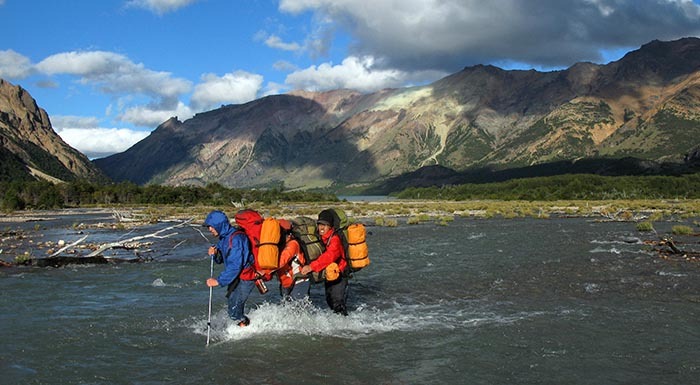 Once the personal and group gear is checked the group gains the famous “Carretera Austral” of Chile. A full day truck drive down South passing along Cerro Castillo, lago General Carreras, the cute town of “Puerto Tranquilo” and “Puerto Bertrand”. This is the source of Baker river, which you will follow for another two hours. After stopping for pictures at “El Salto del Baker” a waterfall of great force, the truck turns towards the river and crosses it on a hanging bridge. The dirt road will lead to the trail head. At Río Maiten, camp is set for your first night under the amazing starry sky of Aysen. 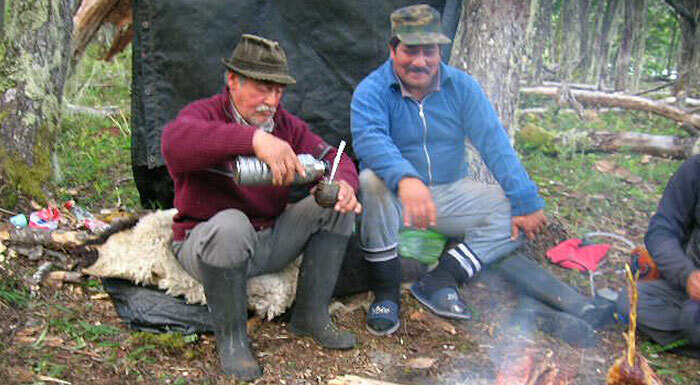 This ten day backpacking expedition will lead you up Neff valley crossing through self-sufficient ranches where “pobladores” have lived for generations and will enjoy your visit and time to share some mate or maybe even grill a lamb for you. After two days hiking up valley the route leaves the main trail and starts to climb up South. 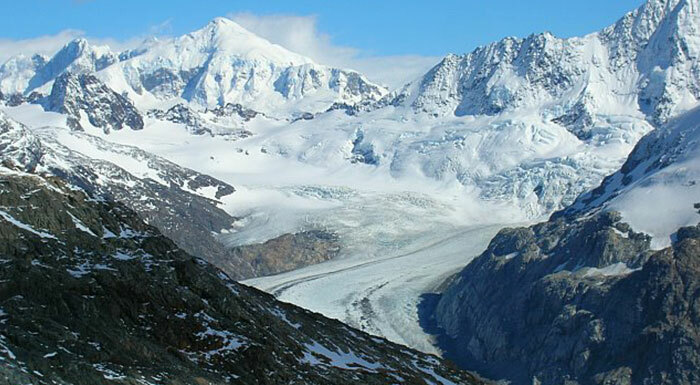 Camp will be set at tree line to enjoy the vast views of the Northern Ice Field and it gigantic glaciers and peaks. A peak climb will be scheduled if weather permits. Reaching a summit is always a valuable achievement, specially here where many of the peaks you will be looking at haven’t been climbed ever! A ridge traverse follows the next day, which demands crossing boulder fields and some snow travel. 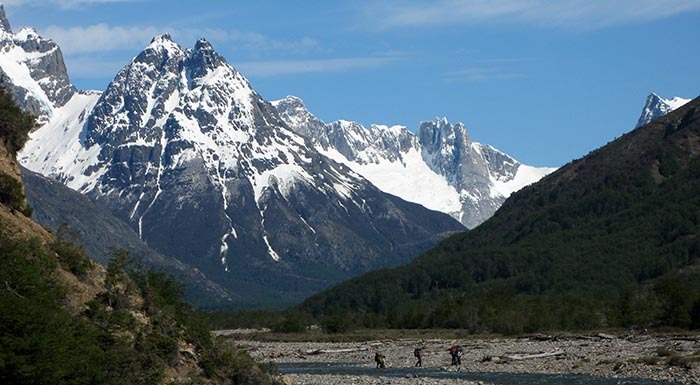 The traverse will surprise you with views of a massive glacier called Neff and if you are lucky you might be able to recognize the summit of “San Valentin”, the highest peak in Southern Patagonia. 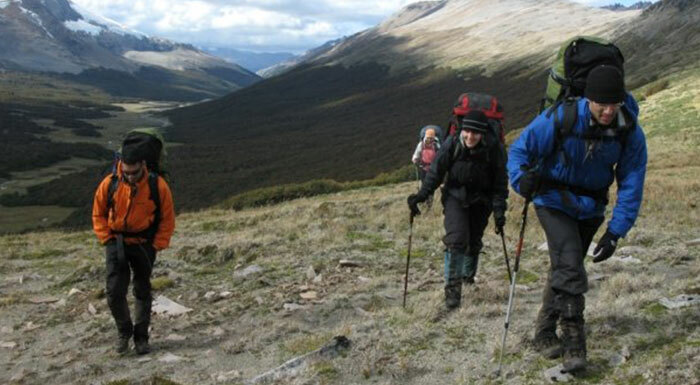 Camp is located at the top of a scenic pass which you will descend the next day. This are the head waters of Maiten river. The descend may involve some rope use and glaceding down a steep snowfield. This alpine valley is beautiful and completely pristine. Continue your traverse down Maiten river meeting new pobladores and enjoying wild berries growing in the grassy meadows. The landscape become more gentle and friendly making the last day of the expedition a pleasant hike on well used animal trails and open fields. The trucks will be waiting for you close to the starting point for the drive back to Coyhaique and a well needed shower and dinner party! Optional: This backpacking expedition can be assisted by horse packers who will carry the group and personal gear for the first 3 days. Or Porters during the entire trip.